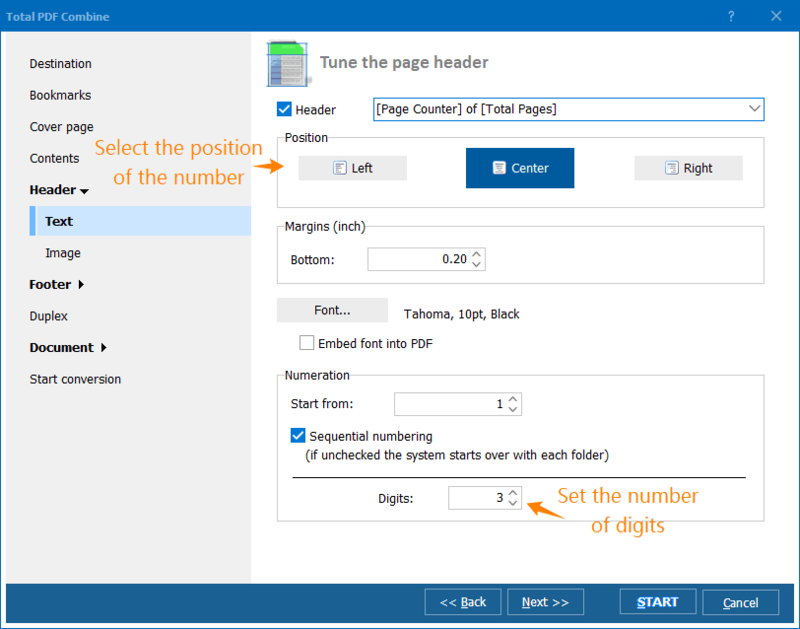 Download a tool to combine PDF and add page numbers to documents! Why should you use PDF Combine to add page numbers to PDF? Inserting Page numbers and the ability to combine PDF files are pivotal for any type of proper business solution. Lots of businesses thrive if they get to automate the way they handle PDF files. With the right set of solutions and tools at your disposal, you will be able to get that done in no time. Thankfully, PDF Combine is the right tool if you want to learn how to add page numbers to PDF without Acrobat. 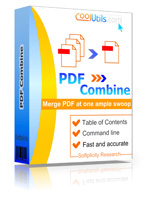 Moreover, PDF Combine is designed to work with batch processing without any sort of issue. The batch processing feature is set to offer you all types of features and quality you want, which in the end may be able to offer you quality results and features. 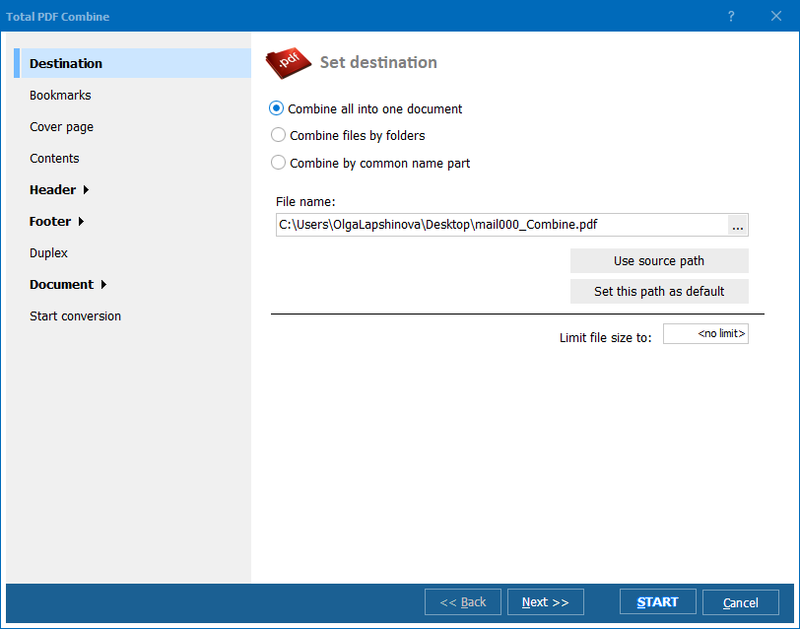 It's not hard to adapt PDF Combine to your requirements either, as the app is extremely modifiable and you can easily find a good way to access any feature that you may want. Plus, being able to add page numbers and combining PDF file is a dream come true for a lot of people. This makes the entire process a whole lot easier, which in the end is the right approach that you may want to have. It's crucial to adapt and modify PDF Combine to suit your needs. With the right set of ideas, you will be able to generate a lot of productivity boost. But that means you have to know how and when to add page numbers to PDF. This will be a very good process once you get the hang of it. Thankfully, PDF Combine can easily handle things like batch processing or any type of content processing that you may be required to do. It's the best way to use the app, and you can easily adapt it to your needs. We understand that each type of business uses PDF Combine differently. This is why we wanted to make sure that you can find a way to adapt the use of PDF Combine to your needs. We can easily provide you with the means to add or remove any particular option in no time. You just have to pay a small customization fee if that's the case, you you get a tailor-made PDF combining utility in a few days. You won't have to worry about licensing when you work with PDF Combine. We can easily adapt PDF Combine to your licensing needs. We offer commercial or home user licenses, as well as special developer or server licenses. Companies with 20+ users can get a significant discount with our site license. Prices start from $59.90; all licenses are lifetime and include all major upgrade released within 12 months from the purchase date. If you want to learn how to add page numbers to PDF, you are in the right place. You will have to select the folder with PDF files and select the ones that you want to use. Press the Combine to PDF option and then you will have the option to add page numbers to PDF, check that one. You can also select the positioning as well as font type if you want. PDF Combine is one of the best tools that you can use if you want to learn how to add page numbers to PDF fast and easy. 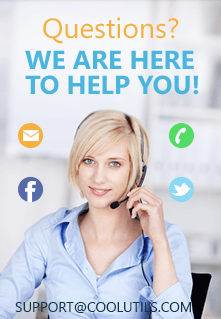 This is a professional tool designed to handle all your requirements in no time. It's easy to adapt to any situation, and you can easily add page numbers to PDF fast and easy. So, try to focus on that, and you will be more than impressed with the outcome! "I work in a rural provider office (www.cvfpractice.com) and we receive many medical records on CDs for patients transferring to our practice. Many of the CDs have each item as a separate PDF (office note, lab result, etc.) so in order for the provider to review the new chart, they have to open one PDF at a time, which is very time consuming. 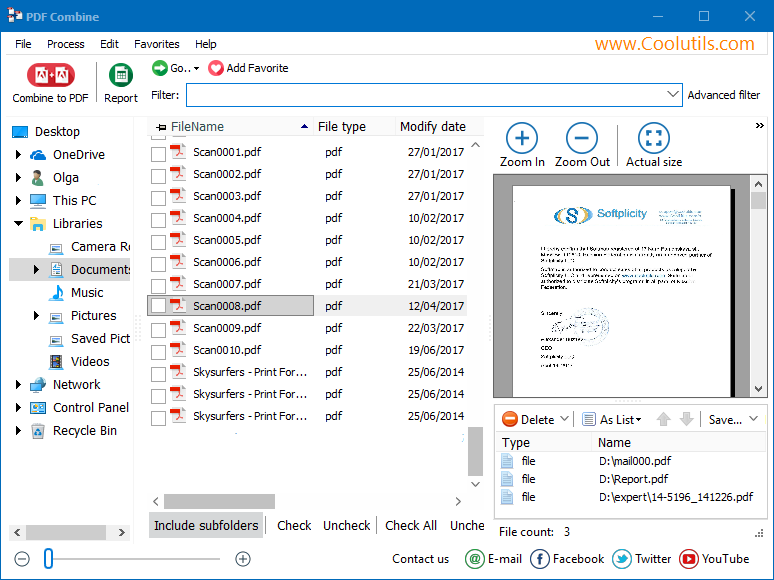 (It can be hundreds of pages) I use this software to join together multiple PDFs so the provider can access the whole record in one click and review it in a more chart like manner. This makes them VERY happy. Also, we recently submitted for PCMH accreditation. The submissions included hundreds of documents, some in PDF, some scanned in, some Excel or Word. I converted them all to PDF, and created packets of information for the reviewers to easily see how we met the measures, rather than looking at individual documents. That makes the reviewers happy! (We passed with flying colors, by the way.) Thank you so much!"